A biologically and physically plausible model for ants and pheromones is proposed. It is argued that the mechanisms described in this model are sufficiently powerful to reproduce the necessary components of universal computation. The claim is supported by illustrating the feasibility of designing arbitrary logic circuits, showing that the interactions of ants and pheromones lead to the expected behavior, and presenting computer simulation results to verify the circuits' working. 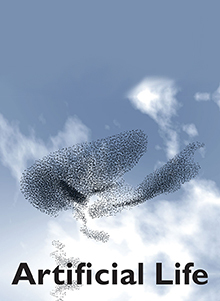 The conclusions of this study can be taken as evidence that coherent deterministic and centralized computation can emerge from the collective behavior of simple distributed Markovian processes such as those followed by biological ants, but also, more generally, by artificial agents with limited computational and communication abilities.